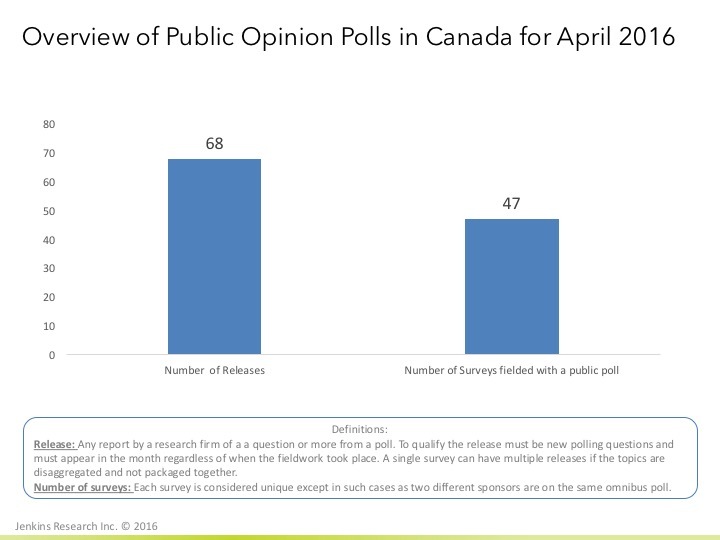 More than 2 polls per day released in Canada in April | Jenkins Research Inc. In April of 2016, Jenkins Research found 68 public opinion polls in the media or through a search of the Internet. The 68 polls were conducted on 47 fielded surveys. For more information, see the methodology information here. Only 19% of survey releases were associated with a non-media sponsor such as a company, interest group, or association. This means that 82% of the releases appear to the public to be neutral and not being motivated by an agenda one way or the other. 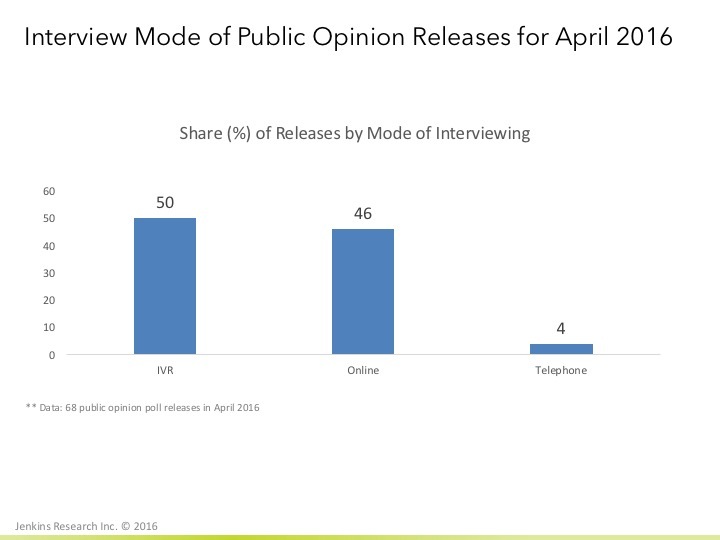 IVR is the most used method of interviewing for the releases (50%) with online research the second most used (46%). Notably, we found only one survey that was released by a not-for-profit which had insufficient methodological information. During the month of April, the most interesting release was from the Environics Institute, which released their report on a survey of Muslims in Canada.